Hey folks – just a quick post this one. I checked my phone this morning after getting ready for work to find a message from my Ministry of Dice podcasting partner in crime Andy telling me to check out the Dice Masters Unlimited page. Our Dice Masters Colonial bro from the great white North, Matthew Jourdain, had created a couple of fan-made custom cards of us! There was also this one, I’m not sure who it is? If you’re not sure of the in-jokes then dive into the podcast back catalogue for context. It was a tremendous way to start the day and my sincerest thanks to Matt for doing it. We love them Matt – cheers mate, you’re a geezer. Glad you guys like them. 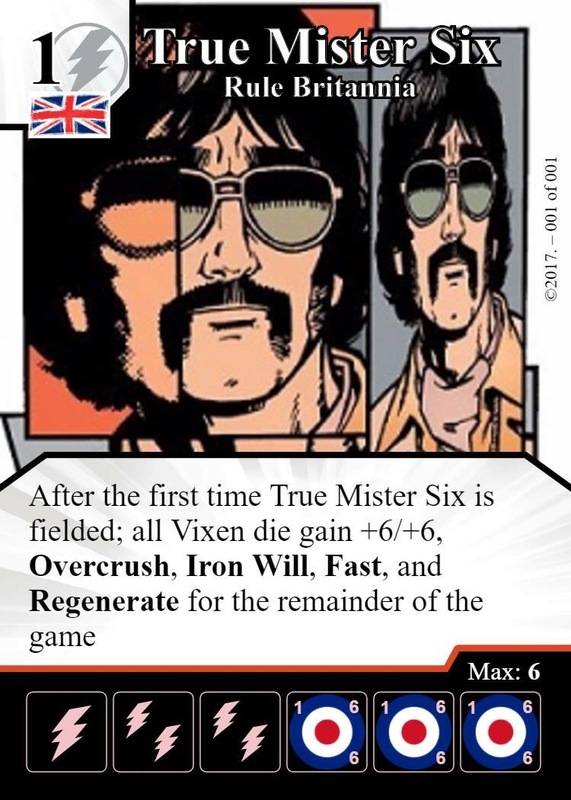 There are some better quality versions on Dice Masters North in our custom card gallery. I added some colour to the Affiliations.